We all know very well that the tech giant Google has its own line of smartphones, which is known as Pixel. Currently, we have seen two versions of these devices since the name was released. In the past, the tech giant Google line was known as Nexus. But, now according to the latest reports, the tech giant Google to launch a cheaper version of Pixel smartphone, Pixel 3 Lite which is fully leaked in a new video. The tech giant Google has invested more and more in its own production of mobile devices. An effort that also went through the acquisition of a part of HTC as well. 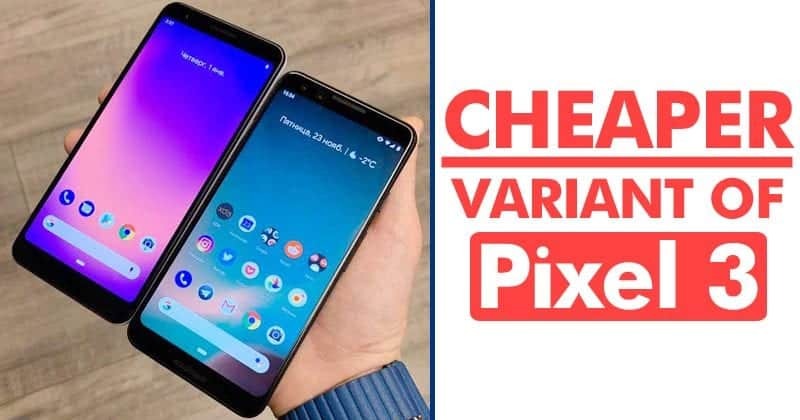 Now, according to the latest reports, after its current flagship smartphones, of course, I am talking about Pixel 3 and Pixel 3 XL, now the tech giant Google is preparing to launch a cheaper version of its flagship smartphone, yes, I am talking about Pixel 3 Lite. First of all, this smartphone has already been subject to a number of information leaks since the end of 2018. However, if all this initially resembled as fake info, but, now it is difficult to deny its existence. As recently, a well-known tech YouTube channel, known as Andro News has managed to get its hands on a pre-production sample of the all-new Pixel 3 Lite. And not only that the video clearly showing all the main aspects of this smartphone. According to the international press, there are no more secrets surrounding this product, as all of its design and all of its specifications have been revealed. Currently what we don’t know about this device is the price. While now if we talk about its arrival then let me clarify that this new smartphone will hit the stores soon after the Google I/O 2019 conference. This is the biggest event of the tech giant Google and is usually dedicated to programmers and software news. Moreover, the Google I/O is the well-known event where the tech giant Google usually introduces the new versions of its Android operating system every year. However, this year apart from the new version of Android, the tech giant Google could also unveil the cheaper version of Pixel 3 smartphone, of course, Pixel 3 Lite. While now if we talk about the design and build of this new smartphone, then let me clarify that this new smartphone, of course, Pixel 3 Lite will have a fully plastic construction with a color highlight on its On/Off or power button. Moreover, in the new Google Pixel 3 Lite we will also find a USB Type-C port as well as a speaker located on its lower edge. Lastly, we also have a fingerprint reader on the back of the device which is placed in the center of the smartphone. So, what do you think about this? Simply share all your views and thoughts in the comment section below.